How al-Qaida understood the media. When bin Laden did speak, he should know – the media was moving on from war coverage. Irrespective of the passing of the midterm elections, the timing now is very suitable for the Shaykh [bin Laden] to show with this speech. This is because all the political talk in America is about the economy, forgetting or ignoring the war and its role in weakening the economy. Just as what a Pakistani journalist residing in America has said, that the press conference held by Obama after the midterm elections, all the questions were on the bad economy, and the means to get out of the crisis. Nevertheless not one of the journalists dared to embarrass Obama by questioning him about the influence on the American budget and the national economy of spending the billions yearly on the two wars of Afghanistan and Iraq. MSNBC was disappointing. “I used to think that MSNBC channel may be good and neutral a bit,” Gadahn wrote, “but it has lately fired two of the most famous journalists –Keith Olberman and Octavia Nasser the Lebanese – because they released some statements that were open for argument.” This mischaracterizes why Olbermann left MSNBC (the public feud, before his departure, was over his undisclosed donations to Democrats) and ignores the fact that Nasser worked for CNN. Alas, we know the ending. 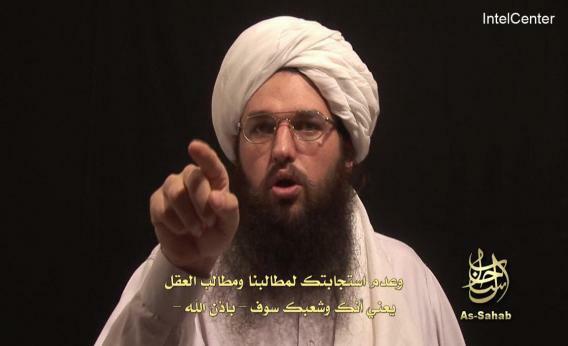 Adam Gadahn’s PR client never got to do the interview.